Trying to take a break from coffee? But then you’re left with that empty, mug-shaped hole in your morning routine. Don’t worry, today we’ll help you explore what to drink in the morning instead of coffee with a few great suggestions ready to pour into your mug. If you’re just looking for the strongest caffeine hit around, try a tea alternative with as much or more caffeine kick than your usual cup of joe. Matcha is green tea ground into powder. Because you are consuming the entire tea leaf, not just steeping it, the drink is much more potent in antioxidants and, of course, caffeine. Drink it hot or iced, with water or milk, of even in a smoothie. Matcha is a versatile alternative to coffee. Or, brew up a cup of yerba mate. This type of tea is technically classified as an “herbal” since it doesn’t derive from the camellia sinensis tea plant like black and green teas. Don’t let the herbal label fool you, though — mate still packs a helluva lot of caffeine. 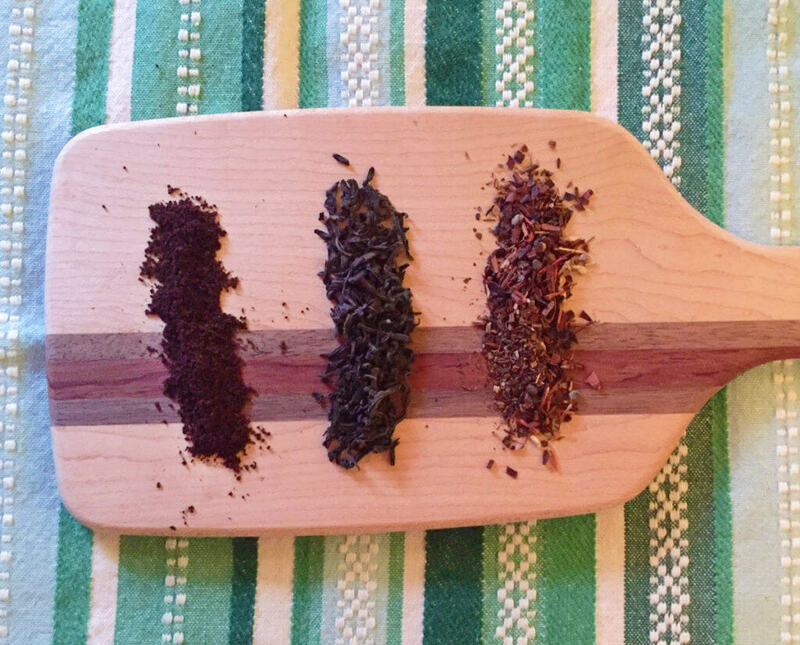 Give this toasty mate tea a try with a bit of spice, in the Stargazer Chai blend. If it’s the taste of coffee that you’re missing and not the caffeine, try a few flavor replacements. If you’re looking for something with strong, deep flavors, try brewing a cup of cacao shells: nutty, chocolatey, and only as sweet as you make it, brewed cacao shell tea is an interesting alternative to coffee. 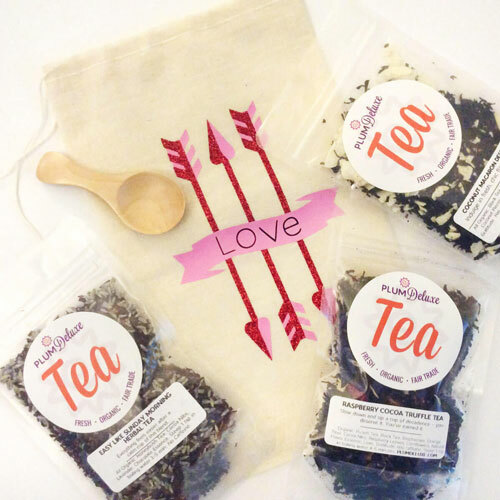 You can get a similar experience with the rich flavors of the Chocolate Hazelnut dessert tea blend, made with herbal honeybush and flavorful cocoa nibs. 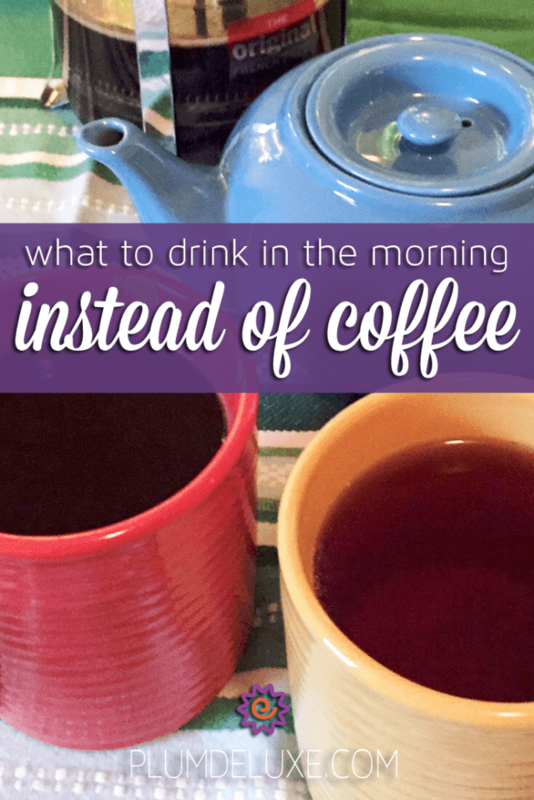 What about what to drink in the morning instead of coffee if you’re a dual coffee-lover and tea-lover? Never fear, there are a multitude of delicious breakfast-oriented black teas ready and able to be your next morning brew. 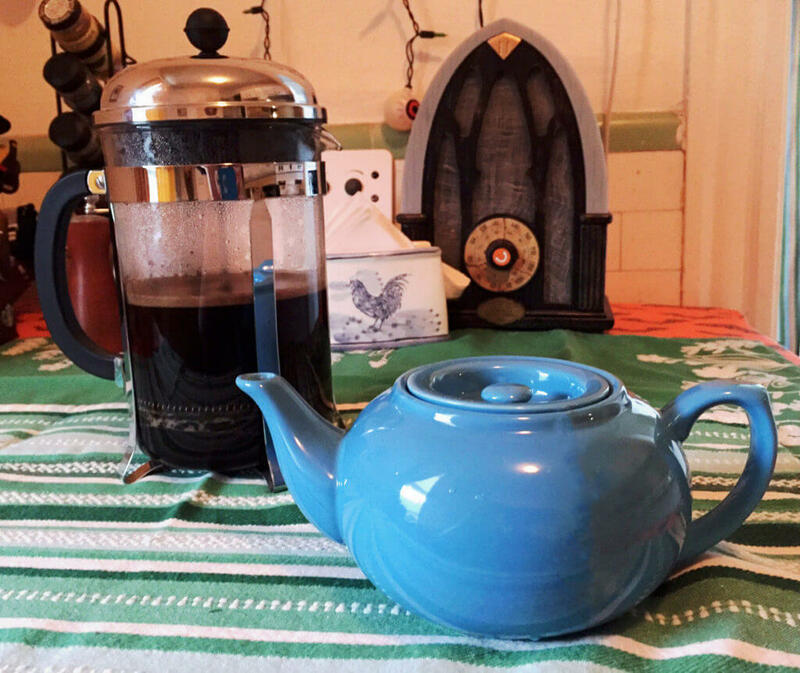 Oregon Breakfast adds hazelnut and orange flavors classic black tea, while the Heritage Blend contains a mix of high-caffeinated, fast-brewing Scottish Breakfast tea leaves blended with everyone’s favorite breakfast sweetheart, maple syrup. 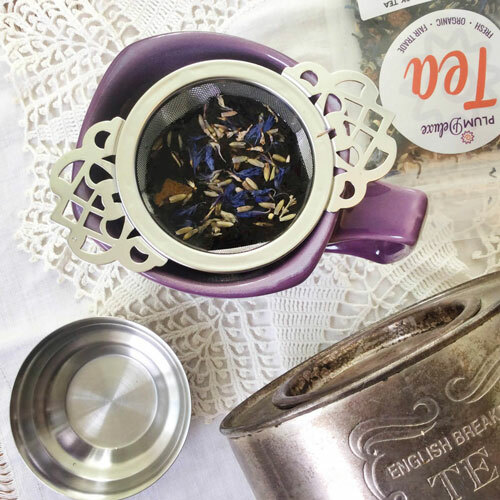 Or brew up a cup of Breakfast in Bed with strong, smooth black tea and the natural sweetness of blackberries. If you’re asking the question, what to drink in the morning instead of coffee? It might mean that you’re cutting you’re cutting caffeine, so your replacement brew should be something low-caffeine to take the place of your favorite flavored espresso latte. Try brewing up a pumpkin spice latte alternative with a Pumpkin Spice honeybush herbal blend. With the same cinnamon, ginger, and pumpkin flavors of your PSL coffee drink, you can still feel autumnal satisfaction. There are also plenty of decaffeinated black teas out there, like the sweet marzipan notes of the No Obligations blend. 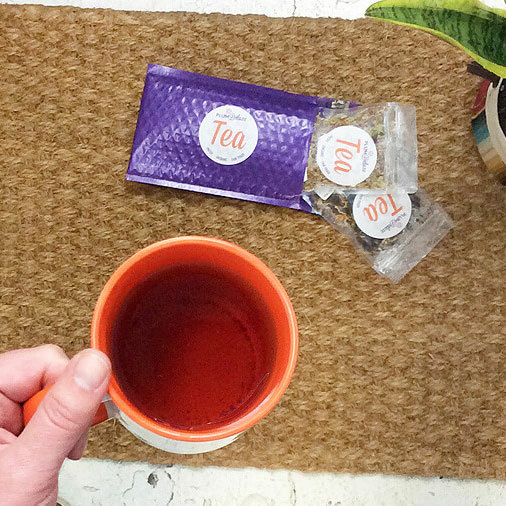 With velvety almond and vanilla flavors, you won’t even miss that cup of coffee. And good news, the Oregon Breakfast blend comes in a decaf version, too. 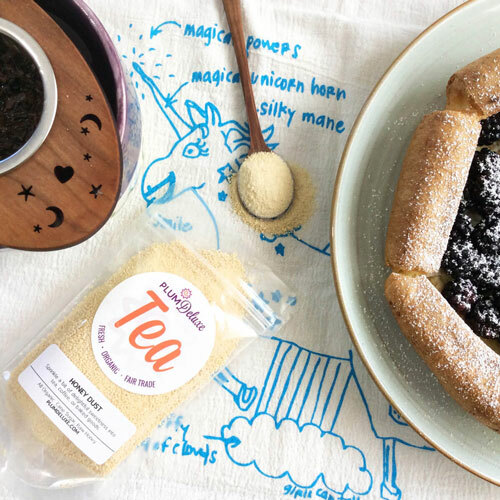 If I still haven’t swayed you away from coffee, check out the Tea for Coffee Lovers guide for a look at some crafty ideas from other tea-lovers at Plum Deluxe. There are a lot of flavors out there, so make room in your morning coffee routine to mix it up and try something new.